. . . to equip the saints for the work of ministry, for building up the body of Christ, until all of us come to the unity of the faith and of the knowledge of the Son of God, to maturity, to the measure of the full stature of Christ. Join Us in Virginia Beach on June 20, 2019! Click to begin registration. Rev. Dr. Marvin McMickle, Rev. Dr. Angela Barker Jackson & More! We are an independent, non-profit organization of ordained, commissioned, and lay Christian leaders who are serving American Baptist Churches. We nurture, encourage, and strengthen more than 2000 clergy, counselors, seminarians, and lay leaders. We provide fellowshipping opportunities; spiritual enrichment; and educational programming to fuel the effectiveness of the men and women called of God to advance the Gospel of Jesus Christ. 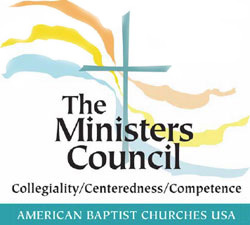 How Can You Support the Ministers Council?